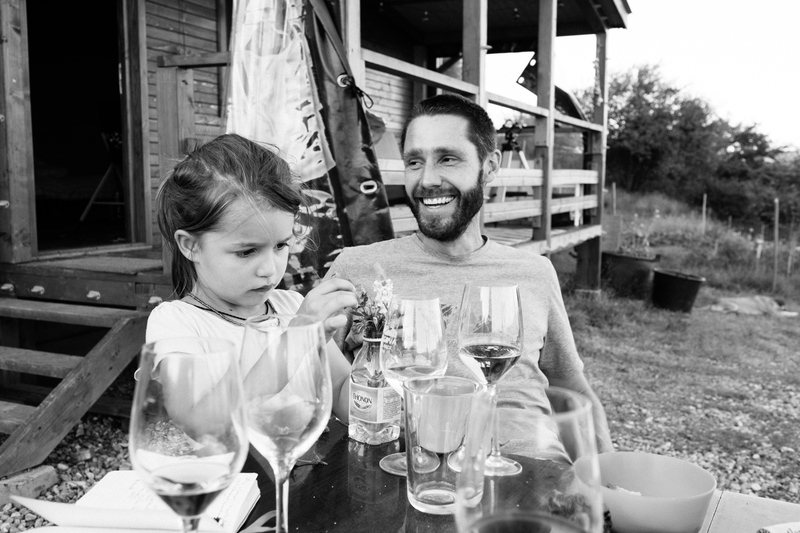 French winemaker Laurent Pfeffer, 37, with his daughter Apolline, 5, at his hilltop cabin overlooking the village. Corcova, Romania. 12 July 2017. Photograph by Davin Ellicson for Le Monde M Magazine.